Disclaimer: This account and the views and opinions expressed herein are solely that of the author and are not necessarily reflective or representative of any State Employee Union in Connecticut or any other State of Connecticut employee. All over the country Thursday night people stayed up into the early morning hours to witness the end of Harry Potter film saga. In Connecticut however, more than just the wizard fanatics had their sleep disrupted as thousands of state employees lay awake, wondering if their careers were destined to meet their own killing curse upon arriving to work Friday morning. Those following the labor situation here in Connecticut may not have much sympathy, as the estimated 6,500 layoffs of state employees follows the rejection of a money-saving labor deal previously negotiated between rookie Governor Dannel P. Malloy and the unions. The tentative agreement that was being counted on to balance the budget called for wage freezes for two years, a raise in the retirement age, and slight changes to the pension and healthcare plans offered to state employees in exchange for no layoffs for four years. The health care changes mainly consisted of mandates for regular health checkups in an effort to offset the future cost of health care by addressing health issues before they metastasize. Especially in light of the difficulty our neighbors and friends have experienced in the private sector in recent years, the proposed concession package was likened to a sweetheart deal and ought to have been an easy yes vote. Ah, what ought to have been. Instead, despite some deft negotiating, the unions botched the communication of the proposed agreement to its members. First, it took far too long to respond to false claims about the deal being circulated via state employee email (i.e. taking all State employees of our current health insurance plans and placing us all on the Husky or SustiNet Medicaid plans). Second, the union reps then presented the tentative agreement at the same time they implored all members to vote for it, creating a perception that the union had removed all choice in the matter and that the vote was just a formality. Well, Americans and especially New Englanders don’t like to be told what to do (for proof Wikipedia the American Revolution). Finally, the union’s own bi-laws prevented a popular vote, requiring that 14 of the 15 state employee unions and 80 percent of all voters approve the deal in order to ratify it. But enough about the union leaders, because as Kristen Chenowith sang so poignantly in Wicked, “I guess we know there’s blame to share.” I understand the “no” votes from those looking to retire soon after a lifetime of service and even some of the sentiments from workers who were around during the last layoffs nearly a decade ago and felt they had already sacrificed repeatedly, including our vote just two years ago to accept furlough days and wage freezes. But on the whole the 40 percent of workers who voted the deal down appear nearsighted and egocentric. Many of the more seasoned workers confidently voted no, believing that their seniority would prevent them from being laid off and that concessions on their part were not worth the positions of their younger co-workers. Of course, my bias is with the younger generation, being in my late twenties with a wife and three children ages three and under to care for. Friday morning arrived and in a sad but not unexpected manner, the least senior workers in both front line and supervisory positions were the first to be let go, despite their previous votes in favor of the concession package. The death march began after nine and continued until noon, one dedicated worker after another being escorted to their pink slips. Despite reports indicating that the administrators gave the news with as much dignity, respect and professionalism as one could hope for in the face-to-face meetings, images of people sobbing and their distraught expressions are hard to shake. Some of these folks just closed on homes or condos, others are newly married, planning weddings or expecting newborns. Most have poured the remainder of their lives into the clients they serve, staying late into the evenings, skipping lunch breaks and fighting the inefficiency of bureaucracy for more hours than they could count to be paid for. Around 10:30 am, I was visited by a co-worker and sister in Christ with messages of encouragement and notice of a prayer vigil on my behalf. Shortly thereafter, I received a message from another co-worker and sister in Christ who reported she had woken up in the middle of the night last night with a sudden urge to pray for me and my family. This was echoed by another co-worker, who did not know I was a Christ-follower but also woke up mid-sleep to pray on my behalf. Incredibly touching and encouraging. To be perfectly honest, I gave up worrying about potentially being laid off mid-June when the union voting date was announced for a day when I was already scheduled to be out of the state working and it was confirmed there would be no absentee voting or alternate voting times. With my small slice of democratic voice denied, I felt God speak peace into my life that the ultimate results were in His hand. I’ve always wanted to try my hand at writing professionally and have been methodically working at a slow pace with Jaime to prepare for bi-vocational church planting. I began thinking maybe a forced layoff would be permission to pursue such paths at a greater clip and that otherwise would be confirmation that perhaps I have more to learn and more to offer as a social worker. As noon approached, the co-worker who sits closest to me was heart wrenchingly given notice and then news trickled in that workers and friends who were hired the same day I was in May 2007 were also being let go. It seemed my name was next on the list and I prepared to put on a smile, to accept a new direction from God. But ironically, I was called not by an administrator, but by a client in need of their immunization records from a health clinic faxed to their summer employment site by 2:00 pm or face the loss of their own position. So out into field I went to save a job while contemplating losing my own. 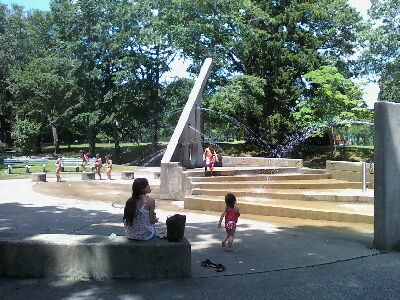 While out in the community, I drove by New Haven’s Edgewood Park, where I had recently taken my three year old daughter Clara on Connecticut Trails Day in early June. Although we saw much of the park on our walking tour that day, I had not had an opportunity to visit the large sundial near the entrance to the park where Stanley Street meets the Boulevard. This particular location has come to mean a great deal to me since I read the remarkable story of Vicky Coward, whose 18 year old son Tyler was shot and murdered right next to this sundial just over four years ago on July 12, 2007. As I passed the park in my car, I pulled over to walk to the location of Tyler’s demise to pray over the spot, and to breathe peace into the lives of his family and the park; perhaps as a means of restoring peace to my own soul. But I was surprised to find that the sundial which had projected visions of darkness in my mind’s eye since reading of Tyler’s death, was now fully alive in the summer sun, a unique sculpture slash water park in which small children clad in bathing suits were frolicking in the streams shooting from the rock. I could not imagine that this space being shared by joyful families was the same location in which Ms. Coward lost her son to an act of senseless street violence. It was altogether stunning and beautiful to realize that a history of darkness tied to a location does not solely determine its prospects for light, and I envisioned the darkness surrounding the office layoffs as being transformed into a bright meeting place of joy in the not-too-distant future. I once read a scholar who advocated that Martin Luther King Jr.’s “I Have A Dream” Speech” should be banned in the United States for at least a decade. The scholar argued that the power the civil rights movement led by King had been sterilized by the granting of a state holiday in King’s honor. Surely, there is no greater way to fundamentally alter a revolution than to sanction it with a government stamp of approval (see Constantine and Christianity). The scholar further made a case that King’s message had been distilled to a sound bite of the “Dream” speech and believed that if “I Have a Dream” was temporarily banned, perhaps Americans would actually listen to and read King’s other words. 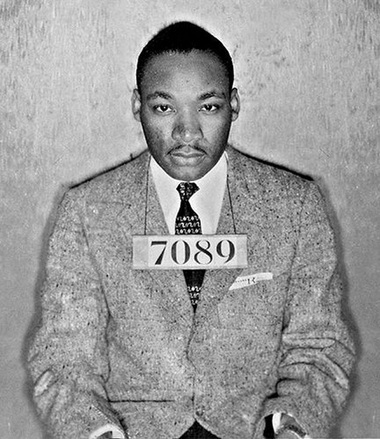 Perhaps the U.S would remember that King was not simply one day on the Washington mall and now a day off, but a prophet in the mold of the Hebrew Bible, standing in the gaps of social injustices affecting not only Black, but Brown, Red, Yellow and White citizens alike who were being oppressed due to their low socioeconomic status, suffering through poverty and losing their sons in Vietnam. I felt the argument was compelling and had to reconcile my appreciation for Dr. King with the reality that my own awareness of MLK was his “Dream” speech and brief excerpts of his “Letter from a Birmingham Jail.” Wanting to read more of Dr. King, I tracked down a compilation of his sermons entitled “Strength to Love” copyrighted in 1963. The book quickly joined the ranks of C.S. Lewis’ “The Screwtape Letters” and Howard Zinn’s “A People’s History of the United States” as books I never can finish because the information and ideas contained within require copious amounts of time to process and incorporate. One of the sections of Dr. King’s book I have read repeatedly is a sermon entitled “A Tough Mind and a Tender Heart.” Based on Jesus’ statement, “Be ye therefore wise as serpents, and harmless as doves” in Matthew 10:16, the chapter begins the book and beautifully illustrates the plagues of mankind, both in the 60’s and today, while pointing to the character of God and Jesus’ third way teachings on nonviolence for the solution. Extremes are rarely useful and most truth cannot be categorized in black and white despite our frequent attempts to do so. This is not to say that absolute truth does not exist, but that from our limited perspective truth is usually discovered in the messy gray of life, even should we refuse to acknowledge it. This is not because God is not clear, but because our own judgment is so frequently clouded. We all readily testify that our enemies are not completely in the right, but often miss that neither are we. Therefore, we also miss the truths that can be learned when we allow our enemies to become our teacher. Speaking of the need to embody the tough minded characteristics of the snake, Dr. King stated, “Who doubts that this toughness of mind is one of man’s greatest needs? Rarely do we find men who willingly engage in hard, solid thinking. There is an almost universal quest for easy answers and half-baked solutions. Nothing pains some people more than having to think.” I believe King’s insights nearly fifty years ago remain true as our families, organizations and churches are largely vacant of leaders demonstrating strong critical thinking skills. In yet another glimpse of the future, Dr. King pointed out that man’s tendency toward being soft minded is seen in the way we cower before and obey the advertising industry, purchasing products based on exposure and perceived status over quality. Dr. King also implicated the press in taking advantage of the gullibility of the public and recognized the sad reality that “Few people have the toughness of mind to judge critically and to discern the true from the false, the fact from the fiction.” I shudder to think what the Reverend may have said about our current entertainment-driven “news” media and the ease with which most of us have been herded into opposing political pens and taught to hate the other side without ever evaluating the shepherd’s motives. Dr. King observed this same lack of serpent tough-mindedness manifests in people’s submission to baseless superstitions and pointed out the root of the soft mind is the fear of change. “The softminded man always fears change. He feels security in the status quo, and he has an almost morbid fear of the new. For him, the greatest pain is the pain of a new idea.” King acknowledged that this soft minded fear of change often invades religion and causes the church to sometimes reject truth “with a dogmatic passion.” Reverend King noted that some in the church view any historical or literary criticism of the Bible as blasphemous and that such members have revised the Beatitudes to read, “Blessed are the pure in ignorance: for they shall see God.” Dr. King further argued such ignorance has led to a perceived conflict between science and religion instead of viewing the respective methods as complimentary of each other. 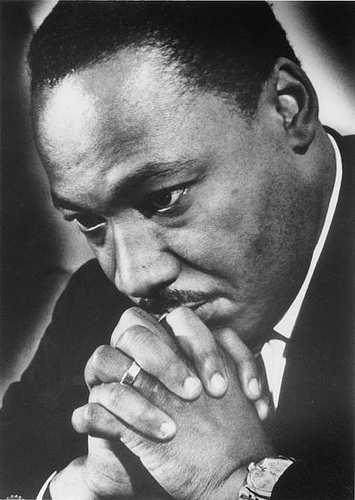 Always advocating for equal rights, Reverend King commented it is the toughminded who examine facts before reaching conclusions and the softminded who are prone to believe that minorities are inferior because they frequently “lag behind in academic, health, and moral standards” rather than recognizing such symptoms as products of discrimination. 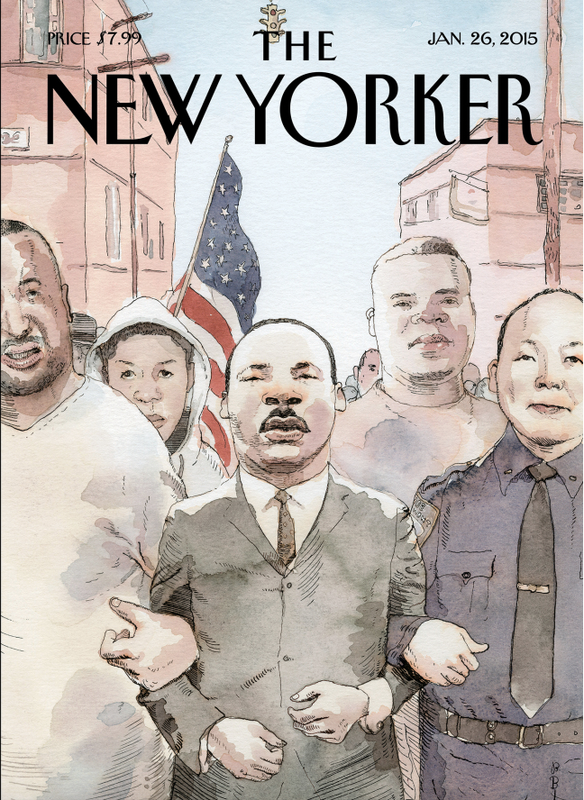 While Dr. King faced an overt racism in the South, an institutional racism continues to pervade our society, bureaucracy and economy offering different opportunities to folks based on their “pedigree” and appearance. Jesus frequently condemned men of such character and I am ashamed to find myself in this group, perhaps able to think critically, but frequently without an intimate relationship and showing little desire and effort in developing such. Dr. King wrote that to “have serpentlike qualities devoid of dovelike qualities is to be passionless, mean, and selfish” and I have certainly spent a large amount of time in this state. But God is infinitely good and is helping me to move toward the dovelike, slowly but steadily growing in the pattern of a tree, toward combining and bearing these “strongly marked antitheses.” In part, this is why I majored in and now work in social work, hoping that through practice I could become a more empathetic son of the King. The Reverend begins to wrap up his sermon by noting that “The greatness of our God lies in the fact that he is both toughminded and tenderhearted… God has two outstretched arms. One is strong enough to surround us with justice, and one is gentle enough to embrace us with grace.” This word imagery reminds me of Rembrandt’s “The Prodigal Son” in which Rembrandt illustrated the Kingdom’s duality of strength and compassion by depicting the Father with one masculine hand and one feminine hand.